I’m guessing the Red Frog is so named because it’s reddish and, um, Chambord is French. That’s all I’m gonna say on that. The drink itself is a tasty mix of sweet raspberry, tart cranberry, sweet almond and smooth caramel notes from the Crown Royal. 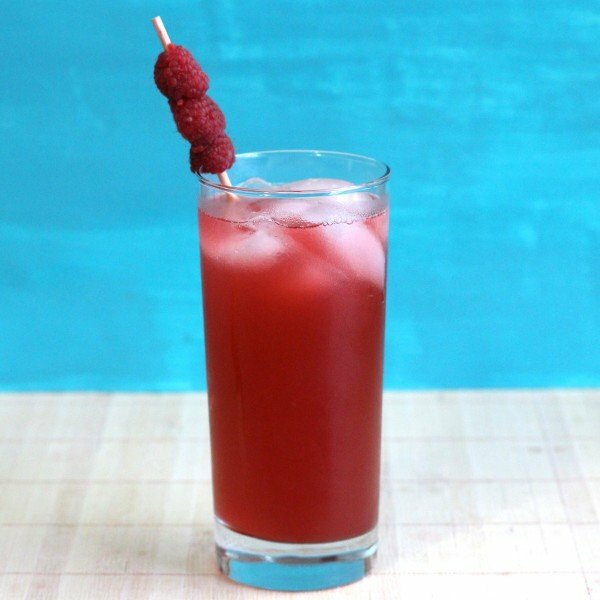 Overall, this is a sweet cocktail but not a fruity frou-frou. It’s even served in a highball glass for that extra dash of glassware neutrality. The berry notes are the strongest, but the sweet nuttiness rounds out the flavor. Fill a cocktail shaker with ice and pour in the ingredients and shake well. Fill a highball glass with ice and strain the mixture into it.